Do you really want to spend hundreds on the latest smart phones? I have been trying to use my xperia T for the past one week now but its not taking any of my networks.. Plss is there any advice on what I need to do? nish, 09 Apr 2013Im looking for a phone.. I was to buy Galaxy S3. but i saw this and dropped that idea. but i w... moreIt does, everything is ok for video calls and Social Facilities. But there's a point; as I've had a Galaxy S3 before my Xperia T, I think Samsung Galaxy devices are usually faster in performance than Sony ones, and Galaxy devices also have better graphics, and an 8 MP Camera which is a real perfect one with a CMOS Sensor on S3 that performs really really better and more clear than 13 MP of Xperia T! I have to say that Galaxy-specially Galaxy S3 and of course S4-have better performance than Xperia T, but if you want a typical and chip phone, Xperia T is one of your good choices. I am in belgium and i can get this awesome looking device for just 250 euros!! This makes this smartphone a very interesting device. Nice phone. I would advise anyone that wants quality without spending much to go for this mobile device. Lets face it, there is virtually nothing that xperia z can do that this one cannot do and you still get to save a lot in terms of price. Except of course, swimming with it. But unless u plan to swim there is no reason u should not consider this. But it comes down to what u want in a phone. Personally I love the design of xperia z (front n back glass), waterproof is a bonus but when i remember that in six months that design plus all the specs of the phone will be no match for the new offerings from Sony and other companies, I wonder, why waste money. Buy the one that still receives Sony's attention but with a drastically reduced price tag. Lets forget wat S3 and S4 can do; lets not think of Xperia Z or Zr and think of our pocket. Unless of course the price is not a problem. doesn't even come close to the samsung S4 technical specifications, Only comparison is the 13mp camera and the larger 6.4 inch screen. Back to the drawing board Sony and at least meet the specs of the Samsung S4. why would anyone want a lesser hardware device??? Sachin, 29 Mar 2013xperia t is awesomeYou from? Can you update this review samples after the firmware update? Why does my mobile internet disconnect when making and receiving calls? Im looking for a phone.. I was to buy Galaxy S3. but i saw this and dropped that idea. but i want to know whethe it has viber facilities and video calls. please note! Please help me out here guys im having wifi issues with this phone previously i had desire x and the spots where desire x showed two bars xperia t shows one i had the same problem with galaxy nexus but my nexus never droped the conection on v poor signals or simply poor signals iv also unchecked the 'avoid poor connections' option but the problem persists... Is the wifi card in sony phones too weak or what??! AnonD-101871, 16 Jan 2013Widely accepted stupid criterion "Display viewing angles" by critics. I wanna ask y... moreit is very simple why the angle is important - whenever you take it out from pocket or whatever holding device you have to adjust the view angle in your hand in order to properly read the screen... so a wider angle should be better... right? Or if you have it on the table close to you... will you be able to read it even if the phone is not straight in front of you... right? 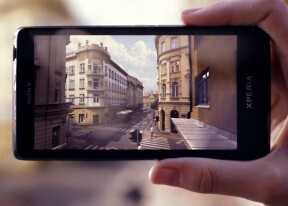 hi, i want to buy Sony xperia SL what u think should i buy SL aur T? SL is is 1.7 dual core and T is 1.5 and overall how it is ? kindly reply should i get xperia SL or Xperia T? I use to have SAMSUNG GALAXY S3 GTI9300 WHITE International got stolen :( , used it for around 6 months and i was in love with that device. Sound Quality better than S3. ( at least i feel the difference). Screen view angle is an issue but not too much, but someone said in post why you want to see it side ways ? i agree with him, only when you look at side ways is colors go dull nothing else of a problem. Performance i don't see or feel any difference lag or stutter. Coming from S3 quad core to Dual core Xperia T there should be some difference but there is none. My friend has S3 i wanted to compare screen with my XPERIA T, funny thing i put both of the Mobile to full brightness and guess what S3 screen looked dull in front of XPERA T.
Price its still cheaper than S3. ICS or JB i dont care as long as it works fine. Only things i miss from S3 are Stay eye, S Voice, Popup Play, Direct call. So friends XPERIA T is a powerful phone, but might lag in gaming section which i don't use or never used on any of the device so don't know about that. All other comments i see which are -ve just don't fit with above criteria or my personal experience.